Starting Indoors: Sow indoors in pots 6-8 weeks before last frost. Keep at 65-75°F. Starting Outdoors: Direct sow 2 weeks after last frost, when soil has warmed. 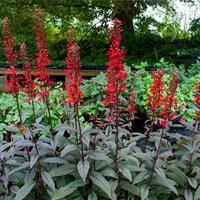 Great as a specimen or focal point Also great in containers or as a border. Do not place in areas where children or pets are present, as seeds are highly poisonous. Wear gloves when handling the plant, as contact of foliage with skin can cause skin irritation in some individuals. All parts of the plant are toxic if ingested. 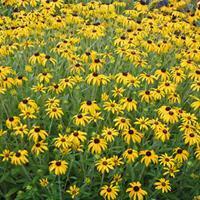 Diseases & Pests: May become weedy in frost-free areas. Plant: Large, somewhat shrub-like, with colossal, palmately lobed greenish purple leaves that are toothed and glossy. Stems are somewhat purplish-green. Flowering: Small pinkish-green flowers appear in clusters atop stalks. Seeds: Flowers turn into bristly pink seed pods containing the highly toxic seeds; dispose of when they begin to dry on the plant. Castor oil, used for medicinal purposes, is derived from the castor bean. The toxin ricin is water-soluble and is therefore not partitioned into the oil.